Database Systems - A Practical Approach to Design, Implementation and Management, 4th Edition | Free eBooks Download - EBOOKEE! Posted on 2012-06-26, by dinhthiptu. This book places a strong emphasis on good design practice, allowing readers to master design methodology in an accessible, step-by-step fashion. In this book, database design methodology is explicitly divided into three phases: conceptual, logical, and physical. Each phase is described in a separate chapter with an example of the methodology working in practice. Extensive treatment of the Web as an emerging platform for database applications is covered alongside many code samples for accessing databases from the Web including JDBC, SQLJ, ASP, ISP, and Oracle's PSP. A thorough update of later chapters covering object-oriented databases, Web databases, XML, data warehousing, data mining is included in this new edition. A clear introduction to design implementation and management issues, as well as an extensive treatment of database languages and standards, make this book an indispensable, complete reference for database professionals. 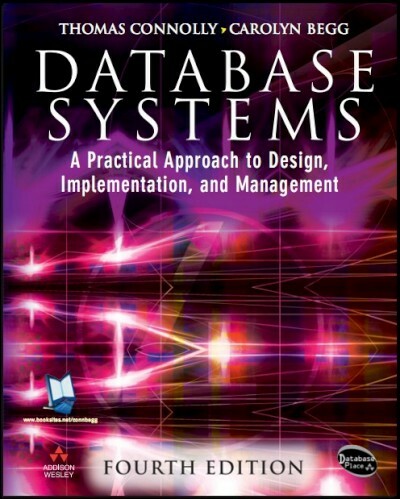 No comments for "Database Systems - A Practical Approach to Design, Implementation and Management, 4th Edition".